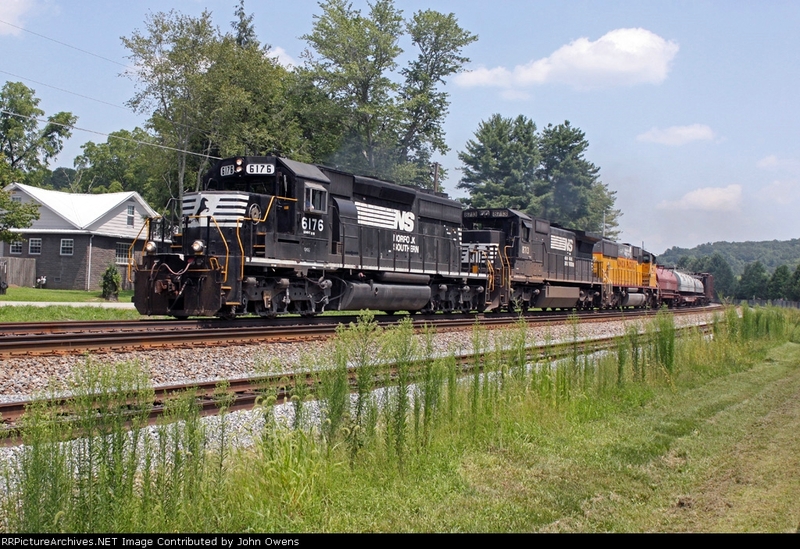 Norfolk Southern SD40-2 6176 leads 143 (Elkhart In. to Chattanooga Tn.) by the city park in Oneida. NS 8713 and UP 2516 are trailing.